It is an end of an era for the Los Angeles craft beer scene as long time craft beer photographer and general all-round nice guy, Bernie Wire enters his last few days as a Los Angeles resident. Saturday afternoon, a steady stream of Bernie Wire fans and friends came to El Segundo Brewing Company to bid farewell to Bernie as he and his wife Anne Marie prepare to move back to Minnesota; Anne Marie hails from the Land of 10,000 (closer to 12,000 actually) Lakes, so they have plenty of family out there. Sunday afternoon, February 23, the LA Beer Bloggers held their 10th LA Beer Bloggers Summit, this time at one of my favorite local microbreweries, Smog City Brewing Company. 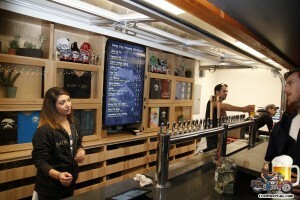 The LA Beer Bloggers are a group of craft beer aficionados that promote craft beer either professionally or as a hobby. 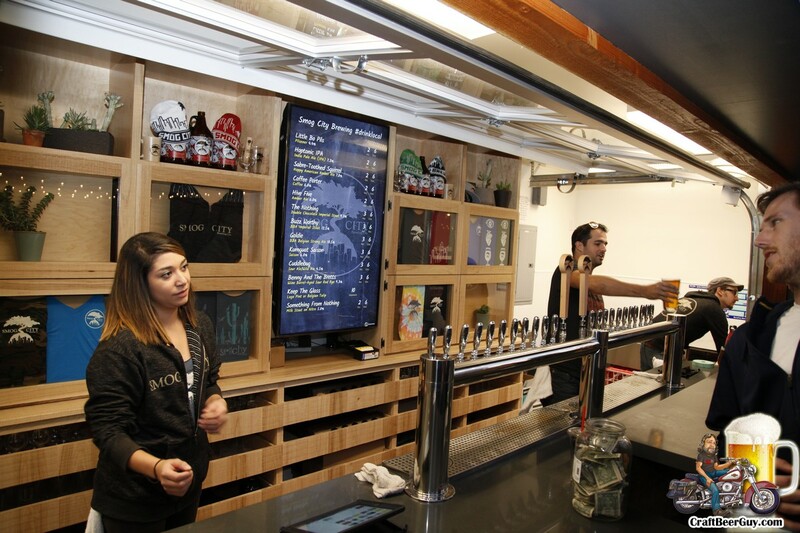 The summits are held every month or so at various breweries, brewpubs and gastropubs in the greater Los Angeles area. These events give the writers and photographers an opportunity to network with others that have the same passion for craft beer and to experience new locations they may not have visited before. Have you ever seen the movie Memento? That is kind of what my life seems like at times. If I took your photo I will remember your face, which does not necessarily mean I will remember your name; but it is a start. While I have been taking photos of beer and breweries and anything else that was in my view for many years, I only recently got into taking photos of the local craft beer scene relatively recently; primarily because the craft beer scene around here is pretty new. When I really became aware of what was happening in the South Bay was during American Craft Beer Week in 2012. My girlfriend had changed the meds she had been on and could now enjoy a brew or two with me, so we dove into the new South Bay craft beer scene. On day two of the 7th Annual American Craft Beer Week, May 16, 2012 I was in Select Beer Store in Redondo Beach and I saw this guy taking a photo of his beer. I was not ready to catch it as it was happening so I asked him if he would oblige me by reenacting the shot for me. Little did I know that we would continue to run into each other and eventually become friends. As it turned out, not only do we both enjoy craft beer, we both like to promote local breweries and we use photography to accomplish this. This was the first time I met Bernie Wire.